STOP and LOOK! Beautiful Home Close to Ski Resorts with Views. Reservation Instructions: We cannot accommodate more than 10 persons. Please do not request a reservation if you will have more than 10 people at the house. You can ask us questions by clicking Ask Manager a Question. Our Tahoe Home is a perfect place to spend the family and friends. Our Tahoe home location is ideal for all year around activities. IN NEED OF A DREAM VACATION? 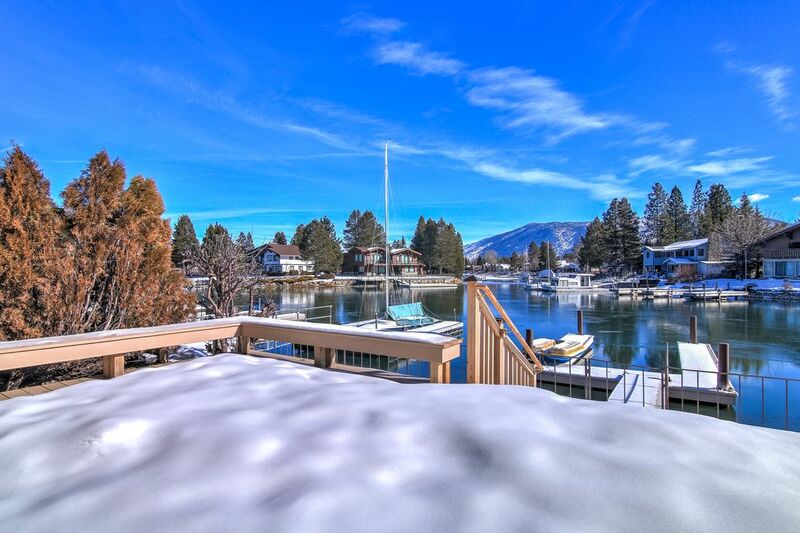 In this Beautiful Home you can have it all…close to skiing, lake and hiking/trails, beautiful views of Heavenly and Mt Tallac. In this Beautiful Home you can have it all Minutes to Heavenly. 3 mins. to LAKE, casinos, close to Tahoe night life, close to trails, beautiful views, on the water, private boat dock and resort amenities. Enjoy your coffee on the deck and look at Heavenly. LOCATION: Close to casinos and fine restaurants. In an upscale community. Cancellation policy: May cancel up to 60 days prior to arrival. We will refund if we can room for the same terms and conditions. We live in Northern California and love being on the water. Located is amazing with fast access to the lake via boat. Heavenly can be seen from our back deck and Sierra ski resort is 15 mins away. Check out our location and you'll see why this property is perfect for all year around activities. Fully stocked kitchen including spices and other basic ingredients. The only issue we had was taking the trash all the way to the dumpster which was a few blocks away. This could be avoided especially given the hefty cleaning ($250.00) and service ($150.00) fee that we had to pay. Otherwise, we had a wonderful time here. The hosts were awesome and very responsive. Thank you Julie and Greg! The house was right off the dock so we could see the water from the living room - very relaxing. Also the house was very well stocked from towels and pillows to all kinds of kitchenware. There were different areas to hang out so the two families with kids had lots of room for kids to hang out and parents to have their own space. Also the location is very convenient to lots of different things. We would definitely stay there again! We had an amazing stay at Ash Chalet! There are many things that make this house a perfect stay, including the location at Tahoe Keys. There are views from every part of the house. The location right on the water was relaxing. There is a boat dock if you decide to bring your own boat (we rented one), and it was nice to pull right up to the house. You will see boats go by, which is a relaxing way to spend the morning with a cup of coffee on the deck. Can I just stay here forever? There is a deck on the second story too with taller chairs, which was nice to have as we watched the sky turn orange and blue at sunset. At night you will see the lights glisten off the water - you can see this while in bed in two of the bedrooms. The house was clean and organized. Communication with Julie was easy. Access to the beach is just a few mins away. The kitchen is well stocked with everything you need but not so much that you can't find things. The house has been decorated nicely with attention to detail. Some of our favorite restaurants are just a few mins away by car. Enjoy your stay at Julie's house because we are definitely coming back for our next Tahoe trip. As dreamy as the pictures make it seem! Sometimes places look better in the pictures than in person, but that is not the case here! This awesome house has everything you could possibly want in a vacation home. We only had 4 people with us, but we could have easily had triple that. There is so much space for entertaining and sleeping. In a very centralized location too! Cant wait to come back. Enjoy the house, brand-new kitchen was excellent. Bedrooms were very spacious, though dated, it was a very comfortable and clean place. Enjoyed it very much, very peaceful sleeping too. Near Casinos, close to skiing, bike trails access right off the property, bike to picnic, coffee shops, and other facilities.